Hamilton is the center of New Zealand’s fourth largest urban area and it is a place bursting with colour and activity. Hamilton is home to many festivals and the city offers many tourist attractions. These include the Hamilton Zoon, the Waikato Museum and perhaps one of the most popular tourist destinations of all, the SkyCity Hamilton. The SkyCity Hamilton is an entertainment palace, equipped with means of amusement for the whole family. SkyCity Hamilton was opened in 2002 and is home to over 330 gaming machines and 23 tables in its casino area. However, it is not just a casino. It offers eateries, bars and features of entertainment for guests of all ages. The Casino is open all seven days a week and offers free live entertainment and popular casino games. The gaming machines include games like Double Dynasty, Cash Carriage and Deep Freeze and they are sure to keep you occupied for a good several hours. The Casino also offers table games like Roulette, Black Jack, Baccarat, Money Wheel and Poker. The Poker Tournaments at SkyCity Hamilton are legendary with many active participants and individuals bet against each other, not the house. In addition, SkyCity Hamilton boasts a range of bars and restaurants, all catering exclusively to the express needs of their guests. The Rebo Restaurant and Bar provides you with the most exclusive dining experience at the SkyCity Hamilton. The menu is extensive and well thought out to suit even the pickiest of palates and dinner at the Rebo is a generally a grand affair. The brunch menu includes classics like pancakes with a personalized filling, bacon and eggs, Eggs Benedict and French toast and lunch is comprised of clean and simple flavours from dishes like chicken salad, soups, terrines, a variety of pastas and steak. The grandeur of dinner is brought on by the amazingly delectable dessert choices, from gooey chocolate mousse to summery cheese cake. The flavours are sharp and delicious, enough to satiate the largest appetite. The gold on chrome colour scheme of the Rebo just adds to its charm, making it a wonderful contemporary restaurant. Other great features of the SkyCity Hamilton are: the Vue Bar, Silk Restaurant and Blend Café. The Vue Bar offers live entertainment every Friday, Saturday and Sunday coupled with a great view from its expansive balcony, overlooking the beautiful scenery of Hamilton. The Vue Bar is known mainly for its excellent value meal deals and for excellent beverage choices. Along with the Vue Bar, the SkyCity Hamilton also has the Silk Restaurant, an eatery dedicated to Asian cuisine. Here you will be the able to sample authentic delights from Japan, India, Malaysia and China, all meticulously prepared by the chefs to give you a true taste of genuine Asian cuisine. The Blend Café is more of a casual eating spot compared to other eateries at SkyCity Hamilton. Popular for its delicious finger food like potato wedges, toasties, burgers and nachos, the Blend Café also does offer a standard menu for breakfast, lunch and dinner. If you are a sports addict, then SkyCity Hamilton’s Zone Sports Bar is the best place for you. Zone is one of Hamilton’s premier sports bars. Zone has plasma TVs and five large screens, all equipped with a vast range of sports to cater to the needs of fans that adhere to a plethora of sports, be it cricket, rugby, foot ball, swimming or even skiing. All live tournaments of any world sport can be followed via the Zone screens while you are nibbling on some delicious finger food like fries and onion rings or you can even opt for a full course meal be it lunch, dinner or breakfast. 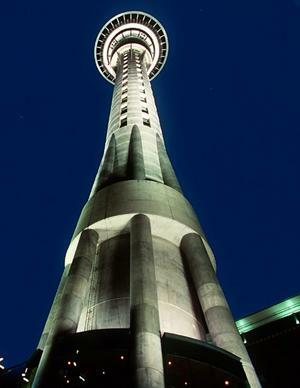 Accommodation is an essential factor if you are planning to pay a visit to the SkyCity Hamilton. Te Rapa hotel Hamilton offers a wide range of luxurious lodging options, ideal for your stay. If you are looking for a Hamilton hotel with top range hospitality, the Kingsgate Hotel Hamilton is ideal for you; situated just minutes away from the city and within easy reach of SkyCity Hamilton, traveling is easy.